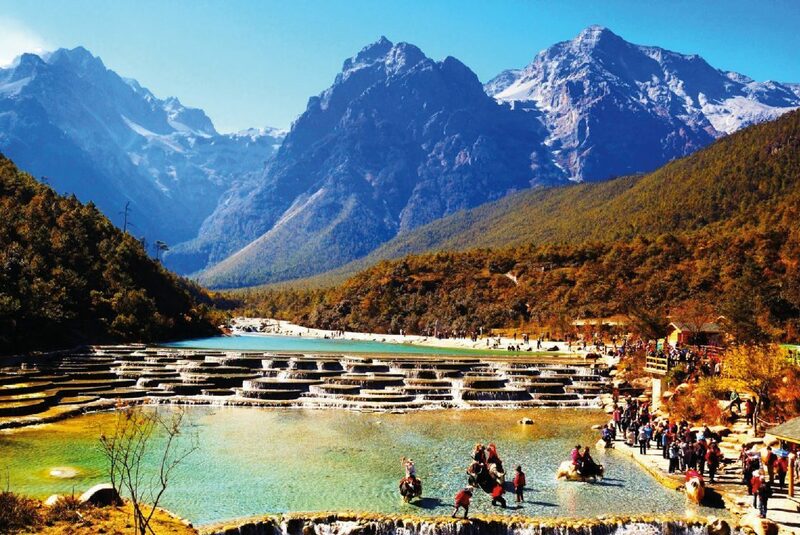 Lijiang is considered a fairyland, blessed with fresh air, clear streams and breathtaking snow-covered mountains. Its history can be traced back to the Warring States Period (476BC – 221BC) but with the advent of the Tang Dynasty (618–907) the local economy reached a peak with the development of the Ancient Tea-Horse Road which made a great contribution to both commercial and cultural communication between Tibet, Sichuan and Yunnan provinces. Yuhu Village is on the edge of magnificent Jade Dragon Snow Mountain and is the site of the former home of Joseph Rock – famed botanist and explorer. 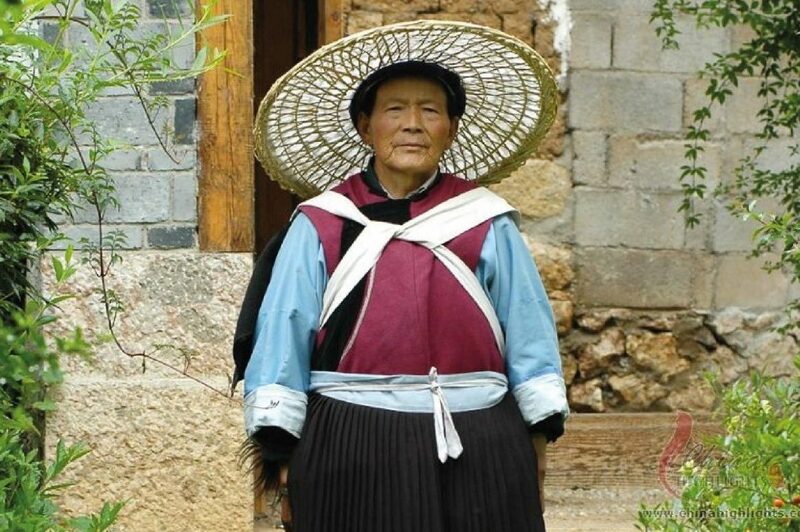 An Austrian-American, Rock spent over two decades of the first half of the 20th century researching and documenting the flora and cultures of south western China, The Naxi ethnic minority are the descendants of Tibetan nomadic tribes. They have a unique matriarchal society where marriage is not widely practiced. The Naxi are famous for their traditional music, shamanistic rituals and animist Dongba faith. 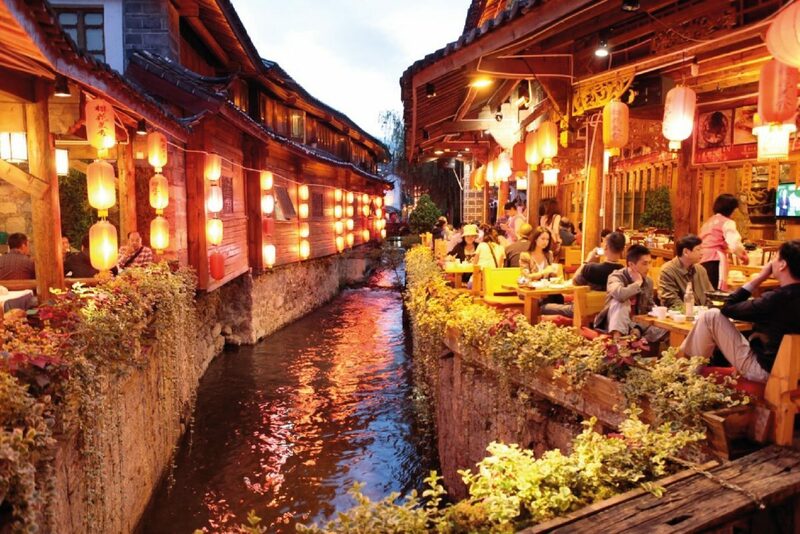 The Old Town in Lijiang was UNESCO listed in 1997. 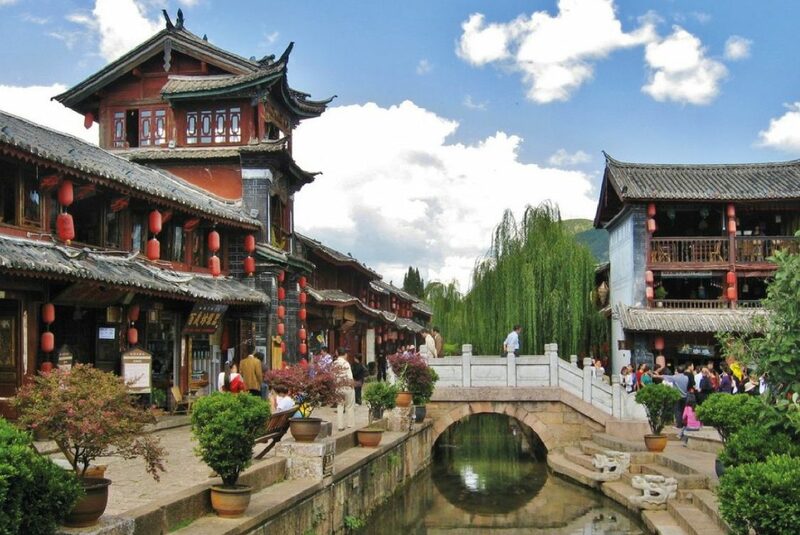 It is considered to be the best preserved ancient town in China. Every day, many travelers escaping from the reinforced concrete buildings in the cities get together here, communicating with each other or just involving themselves in the fascinating night scenery.